Security and transparency is the prime code of conduct at Mongoose Casino. By providing transparent and secure gaming environment for our players, Mongoose Casino Mobile takes every measure to make sure your gaming experience is unhindered by any security issues. The following are some of the measures that we use to ensure our players have a safe and secure gaming experience at Mongoose Casino on our mobile interface. To submit these documents, players are able to upload images directly from their mobile/tablet library. For more information, go to our Mobile casino Account verification page. We maintain the utmost level of means to ensure that all your personal data are secure with us and are not disclosed to any third party. Our mobile website is fully SSL encrypted (Secure Socket Layer), meaning all information disclosed on our website is transmitted securely. This security protocol enables all the information input on our website (account information, credit card details etc.) are in encrypted format along with every page on our mobile website and this prevents your information from becoming vulnerable. Mongoose Casino’s mobile website has been fully certified by Thawte’s SSL web security with Extended Validation, meaning all information and transactions are processed with the security of the highest order. An EV Security level provides the strongest encryption level and in order to comply with Thawte’s security requirements, Mongoose Casino’s mobile website has gone through the process of validating our operations, personal identification and authenticity of our business. Furthermore, our security system uses a 256-bit SSL encryption system, providing an extra layer of security system to ensure your information and banking transactions are kept safe and secure. With a wide selection of payment and withdrawal options, Mongoose Casino offers lots of ways for players to move money in and out of their players account. From a security perspective we ensure this meets the latest and most secure methods. With Credit or debit cards, no details are stored on our platform, with all payments and withdrawals being passed through to our trusted banking partner – a fully PCI compliant company known for their robust framework for processing card payments. Mongoose Casino holds its ethical standards very high in terms of making sure our players have the most stable, secure gaming experience while enjoying the entertainment that was originally intended. We abide with all the strict policies that ensure a safe and secure gaming environment to all our players that include the absolute prevention of under-age gambling and any potential gambling disorders. 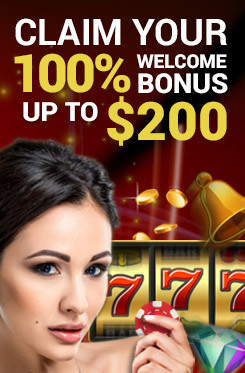 At Mongoose Casino, gambling is intended to resolute as a form of entertainment and nothing more. We identify the potential negative issues related to gambling disorders and take all measure to make sure our players do not experience such issues while playing at Mongoose Casino Mobile. As part of our willingness to prevent such negative aspects of gambling, we have taken measures such as setting deposit limits, player lock outs and identifying any addictive gambling patterns to take suitable measures and prevent any long term negative effects on players. To learn more on our position on preventing problem gambling, go to our Responsible Gaming page. To ensure that we stand by all our ethical conduct related to online gaming, a government authority monitors all our activities and conducts. Mongoose Casino is registered and licensed with the Government of Curacao and holds license no. …… Under this license, Mongoose Casino agrees to comply with all the rules and regulations of the authority in relation to security, ethics and transactions. The jurisdiction closely monitors and audits our activities and ensures all our financial and non-financial transactions meet their rules and regulations. Mongoose Casino is always on the forefront when it comes to resolving any dispute on the customer’s end. In the case of any dispute and misconduct, our operators hold an in-depth investigation to resolve the issue. As operators, we go to all extents of making sure any disputes or misconducts are resolved in an unbiased manner, complying with the regulations set by our jurisdiction. We also involve 3rd party external intermediaries to resolve disputes between the parties involved.